In this day and age, bigger is no longer better. People across the country are beginning to think smaller, specifically when it comes to their living arrangements. The tiny house movement is in full swing, but what is it and how did it all begin? And how feasible is it to build, own, or live in one? Here’s our tiny house 101 breakdown. “Like many housing trends, the tiny house movement was born out of a response to the market,” says real estate analyst Emile L’Eplattenier. Emile attributes this movement to two primary reasons: 1) massive value dips for homes in most markets in the country; 2) gentrification and massive price increases in popular urban areas. Tiny houses were born from the American Dream of home ownership in the face of rising housing costs. Don Barlow, founder and owner of Finyl Vinyl, thinks this movement has begun for more lifestyle change purposes than anything. Although, the tiny house life isn’t for everyone. “In the long run, the majority of the population could not and would not desire to live in a small dwelling, if possible. If you had two kids and a dog, life could get pretty hectic in such small living quarters,” says Don. When you think about it, you might be imagining a shack on wheels, but a lot of these homes are much more than that. Watch just one episode of either Tiny House, Big Living or Tiny House Hunters and you’ll see what we mean. Some of these houses even have washer/dryer machines. Talk about luxury! If you are interested in building a tiny house, the first thing you should do is check your local zoning ordinances and building codes around the state, county, and city levels. A lot of the time your tiny home will need to be portable and not built on a permanent foundation, due to these zoning laws. “Tiny houses on wheels legally fall in a gray area between trailers, RVs, accessory dwelling units, and mobile homes. You will need to research the legal requirements to determine which category your tiny house will fall into,” says Sarah. If you live in California, you’re in luck. An amendment to their housing code with Bill AB 2299 passed in 2016, making the State much more accommodating of accessory dwelling units, or tiny houses. Another benefit of living in a tiny house should be less problems, right? Well, that depends on how many people are living in your 500 square-foot dwelling place with you. According to Sarah, “The biggest negative feedback that I have heard from tiny house living is that it is impossible to live with a family, or even another person.” Besides that fact, Sarah hears nothing but positive effects of tiny living. This includes people feeling less stressed, more secure, happier, and much more free now that they don’t have a 30-year mortgage payment. Are Tiny Houses Here to Stay? So who should live in a tiny house? “I would recommend tiny house living for individuals, or newlyweds, but would advise that they have a backup plan in case their lifestyle changes and they need a larger space,” adds Sarah. No one seems to really know if the tiny house movement is here to stay or not. Some pundits have even declared the fad already dead. If nothing else, Emile believes these homes will become excellent destinations. “As architectural designers respond to market demand and modular construction techniques evolve, I see tiny homes being very popular as vacation homes.” Excellent point! 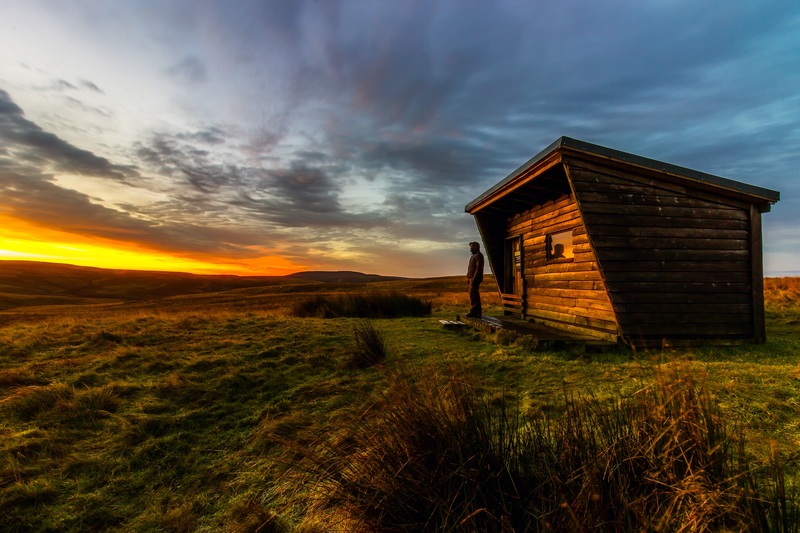 Who wouldn’t want to stay in a tiny house cabin out in the beautiful countryside? We have properties in the state of California and all over the U.S. that may be a match for tiny house ownership. Be sure to tell us in the comments whether or not you would live in a tiny house!